2016 is going to be a big year for Nintendo in a lot of ways. Not only will we (hopefully) see the release of the next Zelda game, but we could also see the release of a new Nintendo console and/or handheld! 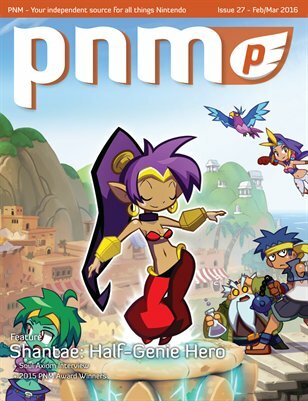 In this issue we dive into one of my most anticipated titles of 2016, Shantae: Half-Genie Hero. We go behind the scenes with the creator of Shantae himself, Matt Bozon, to discuss everything about Shantae’s new adventure. We also interviewed the team behind Soul Axiom and have some awesome concept art for the game. 2015 is over but we finally have our award winners for the year from our staff and also you, the readers! Be sure to also check out all the latest reviews and see what Nintendo character you are in our personality test! Happy Gaming!